Pre wedding photo sessions are all about creating something unique and different from the wedding photos taken on your wedding day and different from all of your friends pictures. You want to do something that nobody else you know has done. 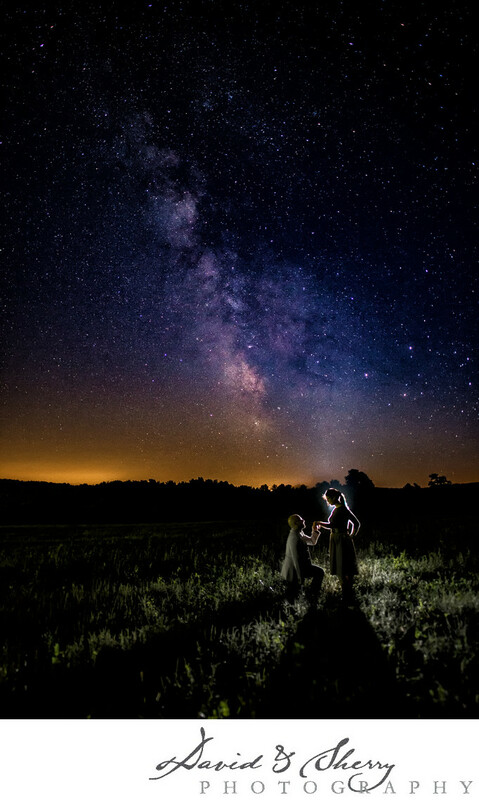 This was the inspiration behind our series of Milky Way engagement photos. Taking pictures of the Milky Way is hard enough in itself as the time of the month has to be just right so the moon is not in the night's sky, the earth needs to be rotating around the right spot in order to see the beautiful nebulas associated with the galaxy and then we make it more challenging by adding in a beautiful couple with stunning posing and storytelling. These all become beautiful pieces of artwork for you to display at your wedding and in your homes for the rest of your lives. Technically speaking we have our camera on a tripod and set the shutter speed to 5 seconds, and bring our ISO, and aperture to the right settings so the image exposes the stars properly. We then set up whatever speedlights or flashes we need for the vision to light up our couple. We set manual power settings on each of the flashes for whether they are the rim light, background light, or front light, and we balance them with the exposure already set in camera. Once all this is complete we direct our clients to just the right place and create beautiful images. It is always worth the effort, even if it needs to be in the middle of the night. 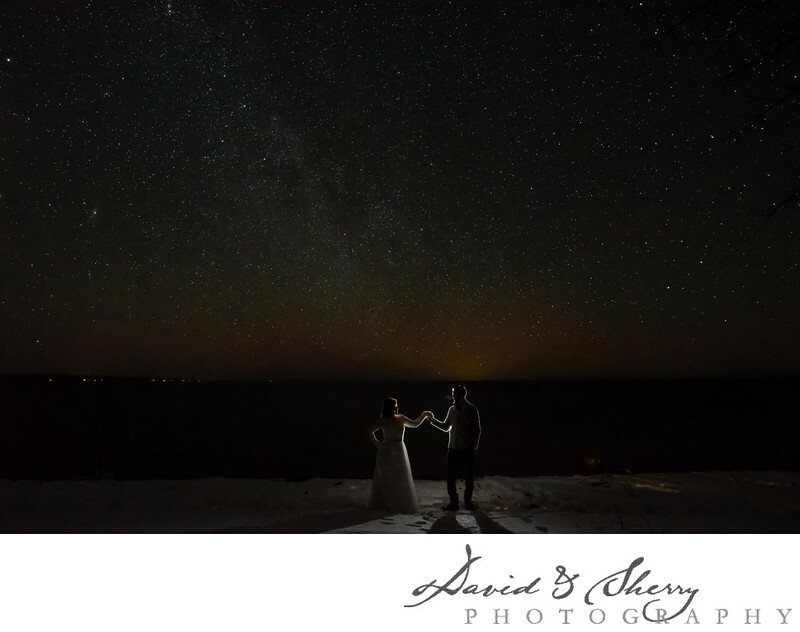 David & Sherry are award winning international photographers who specialize in crazy, adventure wedding and pre wedding photography worldwide.